The theme of fathers and sons emerges as one of the main elements underlying the Kyoto Saga. 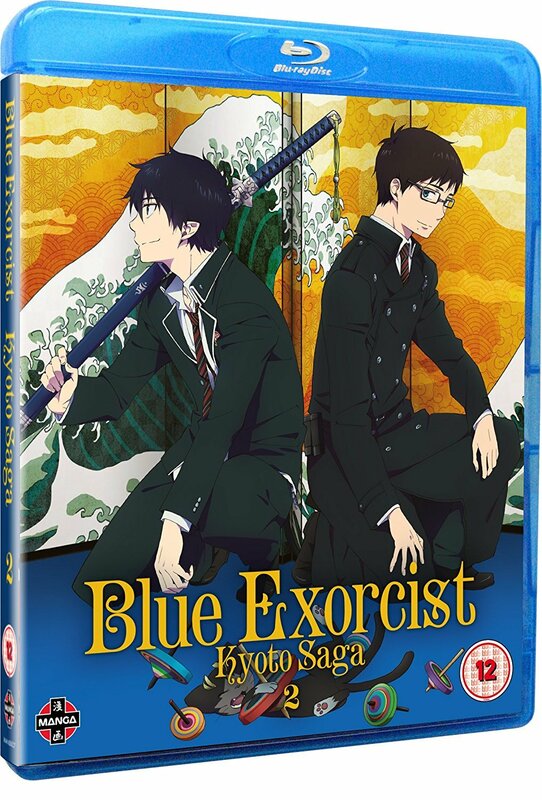 For twins Rin and Yukio, it’s the complex relationship with their charismatic – and dead – adoptive father and the main antagonist Todo doesn’t hesitate to use this to try to distract and demotivate Yukio as the young exorcist does his best to stop the former exorcist turned traitor. Todo delights in reminding Yukio about his ambivalent feelings toward his ‘big’ brother Rin and the tensions at home when they were growing up, competing for their father’s attention. Rin is sustained, even in his darkest moments, by his motivation to repay his debt to Fujimoto who gave his life to save theirs and when he learns that their dad turned up in Kyoto back in the day and made contact with Ryuji’s father Tatsuma, he’s even more motivated to live up to Tatsuma’s expectations. Rin and Ryuji’s very different relationships with their fathers lead to both young men eventually putting their bitter quarrel behind them and working together to try to save Kyoto. One fascinating aspect of the Kyoto Saga is the way mangaka Kazue Katou brings in Japanese mythology and Buddhist and Shinto beliefs: the legend of the god Fudo Myo-o and his demon-slaying sword Kurikara is used in an inventive way and makes a pleasing alternative to the Christian imagery utilized in Season 1 with the Illuminati, Vatican and the True Cross Academy. 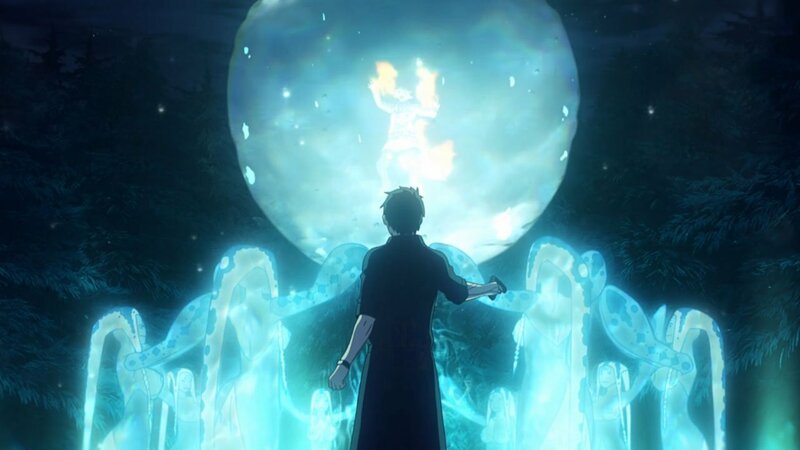 All the elements of the Kyoto Saga are brought to a genuinely satisfying conclusion; it’s good to see a dramatization of a shonen manga that doesn’t feel the need to spin the original story out for endless episodes or wander off into filler territory. In fact, if you’ve become invested in the characters, you’ll find it hard not to grin as happily as Rin in the last scenes as you watch. 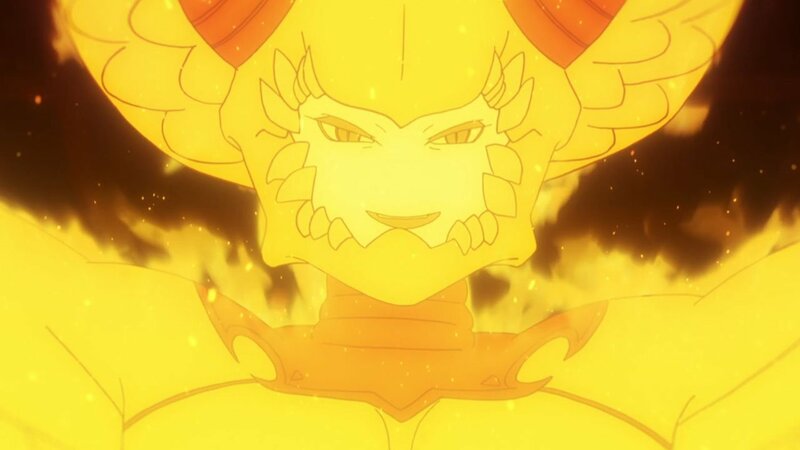 The animation quality is good throughout (and not just in the spectacular action scenes) the character designs stay true to model and the whole season is delivered to a pleasingly high and polished standard. If only other studios could be persuaded to do the same and sacrifice quantity for quality more often! Even though this storyline is given resolution, there are plenty of teasing little hints of what’s still to come – and, of course, the manga is ongoing (up to Volume 20 in Japan). 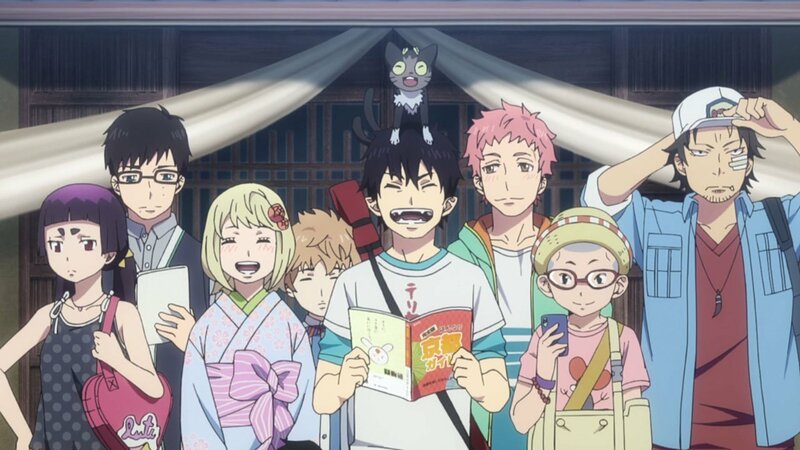 May we dare to hope that there will be a third season of Blue Exorcist? The picture quality (Blu-ray – DVD not seen) is as clear and pleasing as in the first part as is the sound; my only quibble is to ask why this 12-episode season was split into two parts for the R2 release? The only extras are textless OP and ED and textless not-quite final scenes from Episode 12, so it’s not as if there were interviews, picture galleries etc. to squeeze onto the two discs (as used to be the case in the days of DVD releases with c. four episodes to a disc). 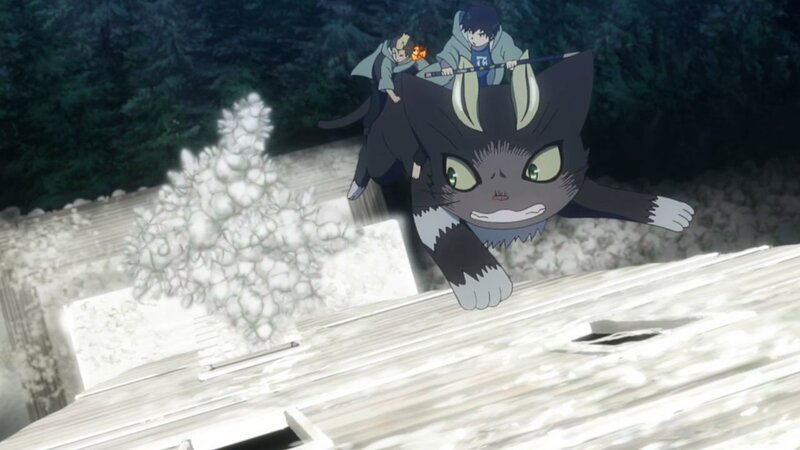 Blue Exorcist Kyoto Saga is that all-too-rare show in anime these days: a gripping shonen fantasy adventure, well-written and paced, with sympathetic main characters, that doesn’t outstay its welcome. Recommended. This release slate also features a brand new license and a Chinese film finally hitting home video! Some surprises and more on-going shonen join the fray!